Karaganda State University. E.A. Buketov, specialty: “Professional study”. Qualifications: engineer – teacher, teacher of special disciplines and information technology, 2002. 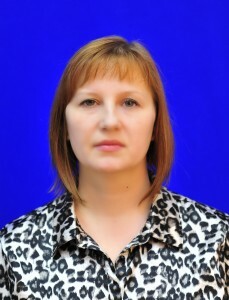 Postgraduate education: Karaganda State Technical University, magistracy in the specialty “Production of building materials, products and structures.” Qualification: Master of Engineering and Technology, 2010. 2015-2016 – Lecturer of the Department of SM & T.
- listened to a series of lectures by Dr. PhD of the University of Leeds (UK), Joseph Kangwa (2014). - I listened to the course of lectures by prof., Ph.D. Novosibirsk State University of Architecture and Civil Engineering (Sibstrin, Russia) L. Ilina (2015). -planned upgrading at the enterprise LLP “KKK Concrete”, included in the map of industrialization of the Karaganda region (2016-2017 academic year).